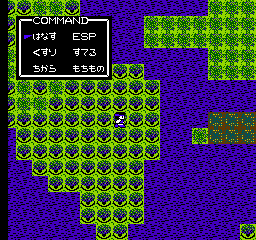 OverviewHoshi wo Miru Hito is a sci-fi themed Japanese RPG released for the NES in 1987, noteworthy for its difficulty and poor construction. It was only released in Japan. Now you can add videos, screenshots, or other images (cover scans, disc scans, etc.) 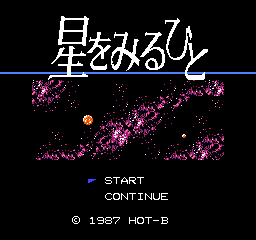 for Hoshi wo Miru Hito (Japan) to Emuparadise. Do it now!